Is casino stock high risk? It’s really the oldest in Asia? That’s all good, but how about now? In 1980, BSE developed the “S&P BSE SENSEX” index, which went on to become a benchmark of equity index for the health of the Indian economy. This index which listed the 30 of the largest stocks of BSE started a great expansion of its trading platform. 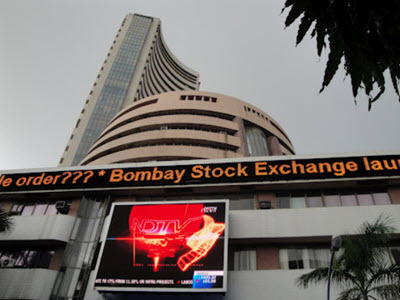 In 1995 the BSE switched from an open-floor to an electronic trading system. This system called BOLT or BSE On-Line Trading came ready to handle 8 million orders per day. A centralized exchange-based internet trading system called BSEWEBx.co.in followed shortly after, opening BSE trading to their investors around the world. On December 30th, in 2016 BSE established India INX, which became the first international exchange of India. Continuously growing and advancing with the times BSE, now lists close to 6,000 companies, and is one of the largest exchanges in the world. BSE has quickly ascended to $2.194 trillion in Market Cap (Oct, 2017), putting them at 12th place among the other big exchanges. Also in Oct 2017 the Monthly Trade Volume was at 92 Billion USD. Why is it the “right choice”? Investors always want to find the best choice for their money, which makes sense, but with so many great exchanges around the world, what maybe the best choice or exchange for you, might not be “the one” for the person after you. BSE offers a fast and transparent market for trading in currencies, derivatives, equity, debt instruments, and mutual funds. Along with trading, BSE also has a variety of other services such as, risk management, settlement, market data services and education. Also, BSE offers a separate platform, called SME, for trading the equity of small-and-medium enterprises. Now that you have a better idea of what BSE has to offer, if you think it’s the right choice for you, start digging in deeper and put their “Fastest Ever” title to the test.